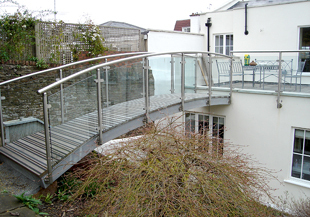 Classic Ironworks have the most stunning designs in glass manufactured balustrades. We recognise the need for you to make the very most of your outdoor space, and the need to introduce a design that is in keeping with the style of your property. Framed or Frameless Glass balustrades are a perfect option for modern homes, our glass for balustrades meeting the most stringent safety requirements. We work with all health and safety regulations at the forefront of our mind, putting our customer’s needs first every time. A stunning and modern glass banister for your home can add value, light, and space to your home, enabling you to make the very best use of your terrace or balcony. We can supply a wide range of designs for your home including cantilevered glass balustrades and staircase glass banisters. We use only the very best glass balustrade UK suppliers for our products, also offering cheaper glass design balustrades without having to compromise on quality. We feel that we have got the mix just right, and we are confident to say that you can rely on us for all your balcony needs. Choose from a design made entirely from glass, or choose balustrade glass and steel for something slightly different but equally stunning. 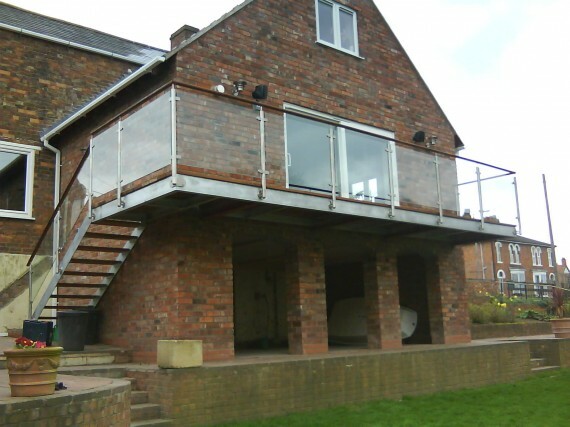 Glass balustrading is the perfect addition to any home, and your property will gain instant value when you decide on the installation of a modern and stunning architectural gem. Having a balcony or terrace on your home is a blessing, and we aim to ensure you make perfect use of this space as well as ensuring your space is safe and secure. Our team of experts are available for impartial advice on your home renovation projects, to give you a no obligation quote on your balcony and balustrade design, and to aid you every step of the way in making your house into your perfect home. Contact us today and we can arrange a visit to your property where we will run through everything you need to consider when installing, what steps will need to be carried out, and to help you with your ultimate design choices and decisions.